Courtney Crouch represents and advises clients with securities offerings, corporate finance and governance issues, mergers and acquisitions, and other corporate, securities and banking law matters. 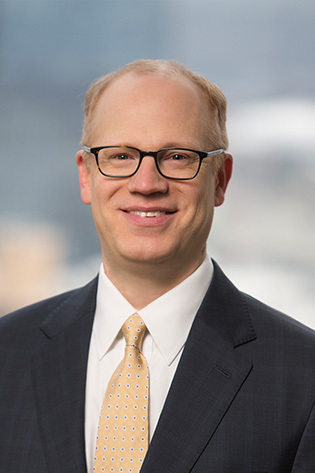 He counsels clients on making and completing securities offering filings with federal and state agencies and preparing and filing stock exchange listing applications. He assists broker-dealer and investment adviser clients with state regulatory matters and various corporate law, securities law, banking law and general business, regulatory and legislative policy issues. Drafts, reviews and advises public company clients regarding federal securities filings, including annual, quarterly and current reports, proxy statements, press releases, Section 16 reports, registration statements and other disclosure documents. Counsels and assists clients in structuring private securities offerings and in drafting private offering memoranda and other legal documents concerning securities offerings, corporate governance, corporate formation, mergers and acquisitions and related regulatory filings. Worked as a summer law clerk for the U.S. Senate Committee on Finance in 2004. Served communications director for U.S. Representative Mike Ross from 2001 to 2002. Served as director of congressional correspondence for The White House, Office of Legislative Affairs, from 1999 to 2001.